The Town Charter requires four affirmative votes for a motion to pass; the proposal failed 3-3. 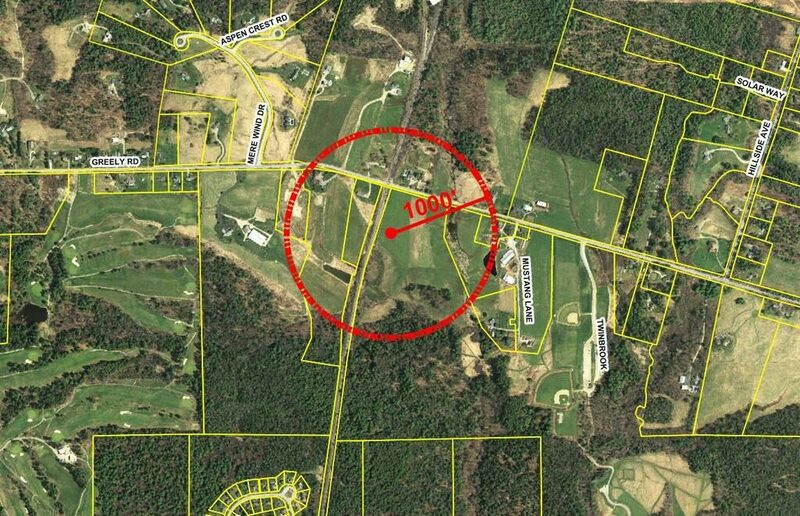 CUMBERLAND — A Town Council deadlock Monday killed a proposal for a new compost and brush facility on town-owned land off Greely Road. The Town Charter requires four affirmative votes for a motion to pass; the item failed on a 3-3 vote. Councilor Bill Stiles was absent while recovering from surgery. The panel’s vote was a motion to have the Planning Board take up the matter, and send a recommendation back to the council. The council’s deliberations followed about 90 minutes of public comment. A second element for the council to consider – relocating sand and salt sheds to the Greely Road site as well – did not reach a vote. Those operations, along with the compost and brush facilities, are now housed at Cumberland’s cramped Drowne Road Public Works garage, which sits next to the newer Village Green residential development. The operations were proposed to sit about 400 feet back from Greely Road on land at Twin Brook Recreation Area, near Mustang Lane, that former owner Spring Brook Farm uses for grazing. The 14-acre parcel is adjacent to a railroad line. The town has considered several relocation options, all of which have fallen through. Skillin Road residents last September strongly opposed a site there, as did neighbors of a vacant area north of the Cumberland Fairgrounds and one next to the Town Forest. While past proposals have sought to move the entire facility, this version focused on part of its operations. High levels of methane gas at a closed-out demolition landfill near the garage led the town to scrap plans to move the almost 50-year-old garage and prevented more housing from being built in the area. Greg and Kay Fowler, who own Spring Brook Farm at 168 Greely Rd., sold 100 acres to the town in 1996 for $390,000. The town has allowed them, and farm operator Jeff Storey, to continue using the land for agricultural purposes. “Once again our family is going to be forced to defend our farm and our way of life, and what we’re trying to contribute to this community,” Greely Road resident Alan Blanchard, a nephew of the Fowlers, said. The Fowlers could have sold their land to a developer but opted not to, in favor of maintaining it as open space and continuing two centuries of farming there, Adam Lee of Harris Road said. Relocating the salt shed to that site “has got to be the worst idea I’ve ever heard,” he remarked. “Salt is deadly to agriculture,” Lee added, noting the ancient ritual of “salting the earth” by a conquering army so the land could never be farmed again. If the Public Works garage was not at its current location, “nobody would think it was a good idea to place a facility in the dead center of town,” near dense neighborhoods, said David Goldman of Bradbury Way, part of the Village Green. Greely Road is already a well-traveled connector from Cumberland to Yarmouth, and given that the town already owns the parcel, “this location is the best that anyone could reasonably expect,” Goldman noted. Kimberly Couch of Wyman Way said she and her Village Green neighbors were counting on Public Works being moved. “It wasn’t like we walked in, knew it was here, and then said, ‘oh, now we want to move it.’ It was all supposed to be gone,” she said. Couch referred to the grit in the air and the methane issue as environmental concerns she’s faced. “I haven’t thought it was the right spot (for the project) since the beginning,” Councilor Shirley Storey-King said, noting that 400 feet from Greely Road is not that much distance, and expressing concern about impacts to wildlife on a pond there. Bingham and fellow councilors Ron Copp and Tom Gruber supported Bingham’s motion; Storey-King, Mike Edes and George Turner opposed it.